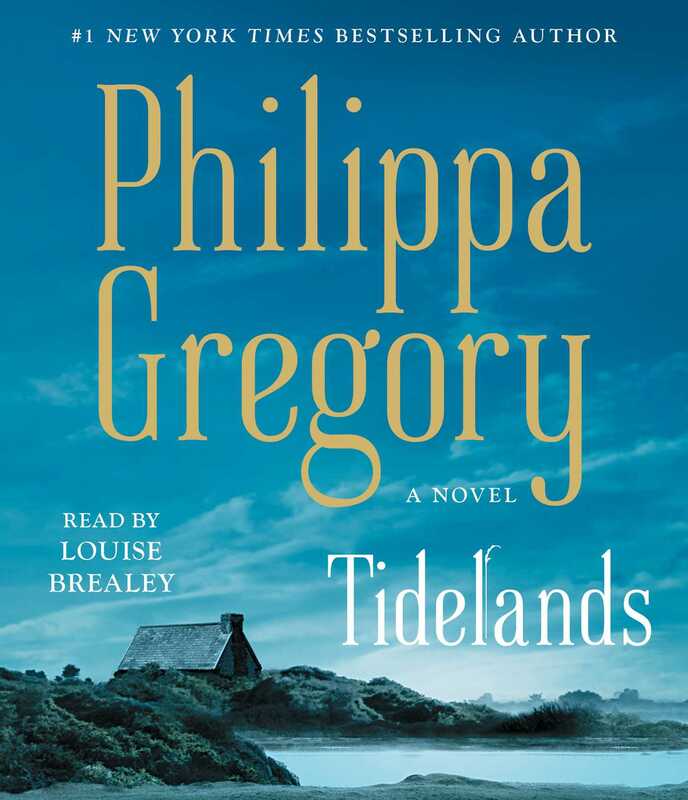 This reading group guide for Tidelands includes an introduction, discussion questions, ideas for enhancing your book club, and a Q&A with author Philippa Gregory. The suggested questions are intended to help your reading group find new and interesting angles and topics for your discussion. We hope that these ideas will enrich your conversation and increase your enjoyment of the book. On Midsummer Eve, Alinor waits in the church graveyard, hoping to encounter her missing husband’s ghost and thus confirm his death. Instead, she meets a stranger, a man named James, who is a Catholic priest and a spy in secret service to the exiled King Charles. The political tides are also unpredictable; England is in a civil war, and it is dangerous to take any stand when power shifts daily. Alinor lives in a dangerous no-man’s-land—neither maiden, wife, nor widow—a place that mirrors the treacherous, watery landscape that surrounds her tiny village. The suspicious, close-minded villagers watch as her fortunes rise due to her industriousness and her ambitions for her son and daughter. They don’t know that Alinor is also walking on a knife-edge of political intrigue as well as having an affair in which she and James are breaking their most sacred vows. Her choices will determine her family’s fate for generations to come. 1. From the opening page, the reader is immediately pulled into the unique setting of the book. Alinor lives in an ever-changing physical landscape known to outsiders as Foulmire. How much does this in-between geography shape the people who live there? How much is it a reflection of the personalities that can manage the ever-changing conditions of the tidelands? Why do you think the author used this setting for a book that takes place during England’s Civil War? 2. At their first parting, James tells Alinor, “‘I did not know that there could be a woman like you, in a place like this.’” That sentence is repeated throughout the book but with changing meanings. Alinor even rephrases it at the moment she is considering suicide. Ultimately, what kind of woman does James see Alinor as? How does she come to see herself? 3. The story is told in the third person, but alternates between Alinor’s perspective and James’s. When King Charles refuses to be rescued, the reader feels how deeply James is shaken, losing his faith and his sense of purpose in life. But with the third-person perspective, can the reader see anything James has gained? What else can we see that he has lost by the end of the novel? 4. Ned is a foil for James, in both his political convictions and social status. But neither man is able to help Alinor in her hour of greatest need. Can you defend either of their actions during Alinor’s trial for witchcraft? Do you think either of them loves Alinor as much as they claim? 5. When we first meet Alys, she appears to be a good child and an obedient daughter. How does she change throughout the novel? When she argues for Alinor to try to abort her baby, do you think Alys makes a fair case? 6. Alys steals money for her dowry and lets her mother pay for the crime. How do you think Alys justifies this to herself? As a reader, do you find this forgivable? Do you think contemporary readers can fairly judge a woman of the seventeenth century? 7. Mrs. Miller is never portrayed as a kind or generous woman. But when she finds Jane’s dowry purse filled with old and valueless coins, is her reaction fair? Given all the events leading to Alinor’s witch trial, is Mrs. Miller more to blame than anyone else? 8. In seventeenth-century England, infant mortality was estimated at about 18 percent, and childbirth was often fatal for the mother. But Alinor enjoys her job as a midwife. How do we see childbirth through her eyes? How do we see the women of the tidelands as she interacts with them? 9. Through Rob’s placement as a companion for Master Walter, we get to see the inner workings of the wealthiest house on the island. How do Mr. Tudeley and Mrs. Wheatley compare to Mr. and Mrs. Miller? Mr. and Mrs. Stoney? In a world of such rigid class distinctions, do you think Cromwell can really bring about the changes men like Ned want? 10. Characters like Sir William show how the upper class of England had to handle the rise of Cromwell and his New Model Army. Men like Ned believe this adherence to the Protestant faith and new political beliefs will benefit everyone. But as we see more common citizens of the area, is there anything to be said for the old faith? Is the “old faith” Catholicism or something even older? 11. The oldest superstitions on the island help lead to Alinor’s trial. The causes of these trials are hard for modern readers to imagine. But given that they were described as an “epidemic” in mid-sixteenth- through mid-seventeenth-century Europe, does this novel help twenty-first-century readers understand why? 12. The novel ends with King Charles executed and parliament in power. But the political tides are still turning in England. How do you imagine women like Alinor and Alys will fare in this world where so much is changing? 1. Alinor is a very compelling main character. She is driven by her desire to secure a better future for her children. Ask your book club to discuss if there are any figures in history like Alinor or any contemporary heroines, in real life or fiction. 2. 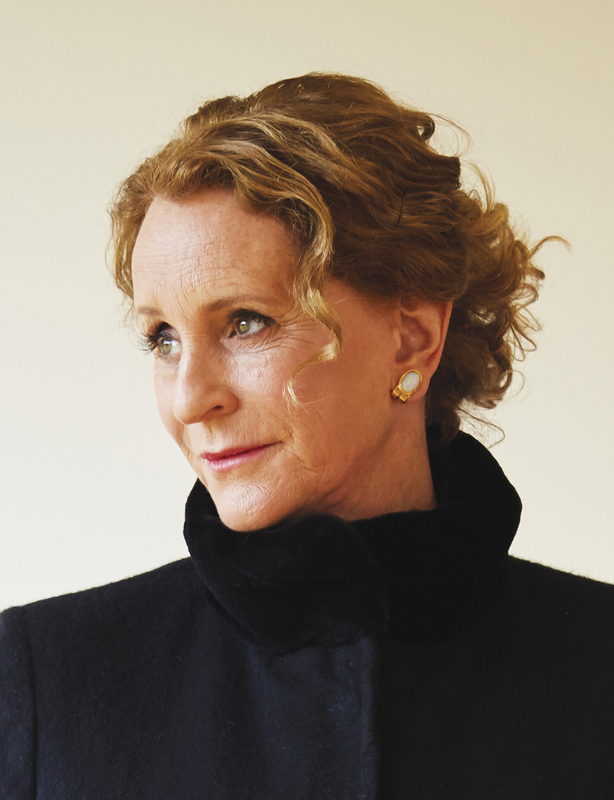 Have your book club discuss what factors in our current times might have motivated Philippa Gregory to write the story of a woman whose life was severely constrained by her social and financial status. 3. Has anyone in your group read other Philippa Gregory novels? Some of her most famous books are about royalty or those in the royal circle. How does Alinor compare to other Gregory heroines, like Elizabeth of York in The White Princess or Mary Boleyn in The Other Boleyn Girl? 4. When Alinor and Alys visit the market in Chichester, the lace maker says, “‘It’s a crime to be poor in this country; it’s a sin to be old. It’s never good to be a woman.’” How would your group describe conditions for those three categories (poor, old, female) now? You are best known for your series about royal families. But Cromwellian England is a time when the monarchy is out of power. What drew you to start your newest series during this time period? It’s true that I have set many previous books in the royal courts, but what interested me about them was not the royalty but the concentration of power and therefore jeopardy—which is the heart of any dramatic story. Also, in the royal courts we have records of women that are completely absent further down the social scale, and it was the stories of historical women that I wanted to tell. Further ahead in time there are more records of what ordinary women and men were doing, which I could draw on to root the fiction in a historical reality. By making Alinor a wholly fictional character, I was able to write a historical novel which was true to the time. I don’t know that there is any record of the life of an ordinary working woman in this period. The diarists and letter writers simply were not interested in them, so any account is going to have to be mostly fictional. I wanted to leave the world of the royals—I have tried to write about them without “rose-tinted” vision; but inevitably these are elite people and their difficulties and dangers, though sometimes extreme, are not the difficulties and dangers of people on the edge of poverty. This first book is where my family starts, in poverty. They’re going to rise in the world, but they come (as most English families do, however grand they are now) from agricultural laborers on the edge of survival. It’s a very leveling thought! You have a great ability to flesh out characters only briefly mentioned in the historical record. But at the time Alinor lived, there would be almost no original source material for a poor woman with no social status. Were you still able to use the same research process to build her character? There is a wealth of material about working people and working women from historians who are interested in the supporters of Cromwell and parliament—so ordinary people. Though there is nothing (that I could find) about people living in this particular area, there are surveys and reports of poor parts of England as the armies went through. For unruly women there are criminal court records, and a lot of complaints from ministers and vicars and magistrates. There are records of midwives, and herbalists, and of course there is a wealth of documentary evidence when literate men (almost always men) supervised witchcraft hunts and trials and so reported (probably the first time they had ever considered) the private lives of poor women. History is said to be written by the winners. But your novels tend to show what it is like to be both in the favor of the powerful and out of favor with the powerful. What inspired you to make James a spy for the losing side? James is a spy for the elite—the upper classes—so he starts his life as one of the “winners.” His family adhered to the Roman Catholic faith when the rest of the country turned Protestant, but there were many elite Catholics who survive to this day. He would have thought he was on the winning side for most of the war, and I don’t think he genuinely imagines defeat until he is responsible for one of the many failed escape attempts by the captured king. Of course, ultimately, he is on the winning side, as the monarchy is restored in the king’s son Charles II. In fiction terms, I wanted a character who would be able to show the weakness of the monarchy case and a character who would expose Alinor to more danger. This was a civil war; it divided families and I wanted to show that, too. Also—this was a book that was very fictional in process as well as outcome—as I was writing, James ran into the book, as he does into Alinor’s life, and he turned out to be a royalist spy. I didn’t know that was what he would be when he first arrived. I thought he would be a recusant priest, but all the rest unfolded. When you wrote the scene between James and King Charles, was there anything in your research that particularly helped you portray the king? There’s a lot of biographical material about the king and especially about his deterioration during his imprisonment. There are quite a lot of accounts of failed rescue attempts at this stage of his imprisonment, too, so there was a lot of history and historians’ opinions to draw on to write this completely fictional scene. I was especially interested in Charles’s change of attitude during his captivity. From his own letters we know that he started confident that he could outwit and outnegotiate the parliamentary representatives, and he was certain that he would negotiate a return to his throne. This was partly because he was convinced that kingship was a state of being, a divinely appointed state, which nothing could alter. He thought everyone would come to realize that they could arrest him but that being a king was intrinsic to him—he would always be king. Ultimately, I think he came to think that to be a martyred king was the best way to demonstrate this. It’s hard for us in the modern world to imagine that someone should think that they are a genuinely superior being to another person—we’re so inculcated with democracy now! But Charles believed that he had been chosen by God to be king of England and that meant that he was father to his people, and that they could not reject this relationship. Your novels about royalty are told from the first-person perspective. Tidelands is written in the third person. Why did you decide to make this change? Was it a challenge or a thrill? The first-person characters are women at the royal courts and include commoners (like Mary Boleyn) and indeed imposters (like Hannah in The Queen’s Fool), so the point of moving from first to third person was not about status but about the story I wanted to tell. In Tidelands I wanted to be able to describe the inner world of more than one person; I wanted to be free to describe events that happened far from the primary character. I wanted Alinor to live like an uneducated woman in a highly complex world—it was important that she was not present at great events. So if I wanted the reader to see James’s life at his college in Douai, I had to write in third person (or have a series of first-person narrators). Contradictorily, when it came to the execution of King Charles, I did not use third person! Instead I found it really useful to imbue the account with emotion by letting James and Ned be reporters. How to tell the story is a huge decision when starting a novel, but since this is book one of a series, I knew that it would be less of a wrench if I did not change the narrator with each book. Alinor and Alys are both very compelling women. The reader is able to see their problems from both their points of view. Was it difficult to write the scenes where they are at odds with how to fix the situation in which they find themselves? No! Delightfully the mother/daughter conflicts were very fluent to write. I could see each one’s point of view. The development of Alys in the story came from her growing up so that she was more than her mother’s daughter but was someone with her own ambitions and opinions. You have announced that Tidelands is part of the Fairmile series, spanning 250 years and three continents. How long did it take you to write this first novel? How much of the series did you have plotted out before you started writing? The joy of writing historical fiction, which is not fictional biography, is that I am so much more free to develop the characters and develop their lives as I wish. I knew at the outset that I wanted to tell the story of an English family which rises in prosperity, as so many English families did through the revolutions in agriculture, industry, and then especially empire. Beyond that, I didn’t really have a plan. This first novel developed as I wrote it, sometimes surprising me, and took two years to write—longer than usual. The next one is going to start in London but probably move to Venice and from there probably east. But I think that Ned is the sort of man who would follow his conscience to America. You graduated from the University of Sussex. Had you always wanted to write a novel set in that area? Or was there something about this story that drew you back there? The novel is set in an area that I lived in for several years, and was where I spent most of my childhood holidays. I love this undeveloped, unspoiled stretch of coastline. It’s very peaceful, very rich in wildlife, and incredibly evocative. It’s not very large, and it’s not very famous, so it’s very lovely to visit and write there. It’s not far from where I set my first novel Wideacre, so it is now both a fictional landscape and a real place for me. Did the #MeToo movement affect how you wanted to write the character of Alinor? Has the persistence of this current women’s movement affected your plans for the series as a whole? My commitment to feminism as a way of understanding the world and as a hope for the future goes back a long way, and the #MeToo movement has been an inspiration to me in seeing courageous women stand together. I have been guided in this fictional series by my simultaneous work on a new nonfiction book of history which is going to trace the lives of ordinary women (and the obstacles they faced) over a long study from 1066 to 1966 in England. I hope to publish this within five years. As a historian I am particularly interested in the roots of women’s oppression and ill treatment, and I think I can make the greatest contribution to the movement by showing how the past contributes to our lives now. It’s really shocking to understand how little improvement there has been in terms of assaults on women while we have made great strides in political representation. You are very involved with the charity Gardens for The Gambia. Can you share how that came about? I founded the charity Gardens for The Gambia with a headmaster of a rural Gambian primary school in 1993 to provide water for wells in the gardens of rural schools in The Gambia. The vegetables they grow provide school dinners for the poorest children in school, who would otherwise have nothing to eat all day; the surplus produce is sold and stationery and educational equipment is bought with the profit; and the children learn the basics of sustainable agriculture. The gardens are planted rather like an English allotment. They grow all sorts of vegetables and salad vegetables. Usually the school also plants an orchard of citrus trees and walnut trees. Often pupils from the senior class of these primary schools will be made responsible for the health of their particular tree. They fence it to protect it from straying animals and they water it every day from the well. We dig the wells with local labor and we go down about sixteen meters to tap clean water. We provide a rope and a bucket and—job done! It’s a beautiful little scheme that makes a difference to about two hundred children in every school and we’ve completed nearly two hundred wells. I pay for it from my own money and from donations—it’s only £300 per well [almost $400], so it’s extraordinarily good value for money in transforming the lives of the poorest people in Africa. I’m very grateful to people who donate to share this project with me.